The Exigo Seated Dip is part of our market leading plate loaded range. 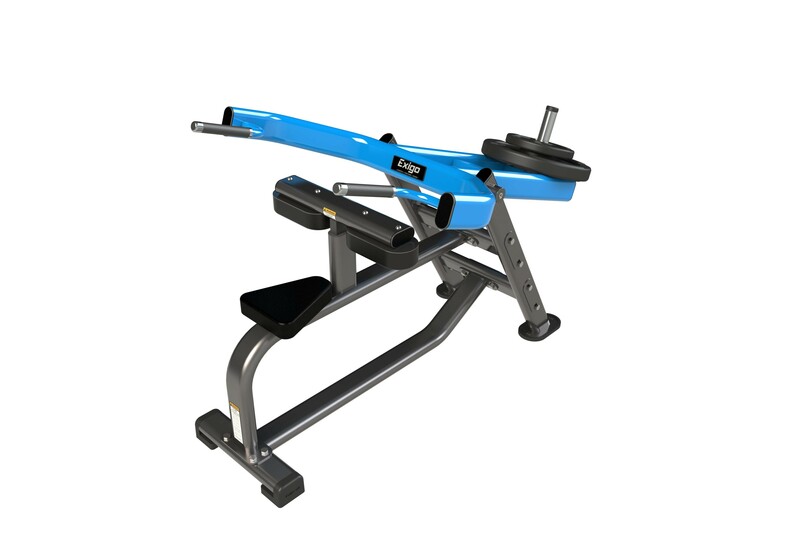 This piece of commercial gym equipment is designed to fully activate the triceps and pectorals via optimal workload distribution. This machine ensures correct exercise movement and can be performed facing inwards or outwards. An essential piece of training equipment for any strength and conditioning facility. Boasting a durable high quality epoxy powder coated finish, hard-wearing upholstery and a robust frame. Engineered using optimal components, the Exigo Seated Dip is a pleasure to use. The Exigo Seated Dip is built to withstand the conditions of a busy gym environment. Proudly designed and manufactured in our very own UK factory with a mainframe lifetime guarantee. Part of our market leading plate loaded range Designed to fully activate the triceps and pectorals via optimal workload distribution This machine ensures correct exercise movement and can be performed facing inwards or outwards An essential piece of training equipment for any strength and conditioning facility • High quality epoxy powder coated finish • Hard-wearing upholstery and robust frame • Engineered using optimal components • Built to withstand the conditions of a busy gym environment • Proudly designed and manufactured in our very own UK factory • Mainframe lifetime guarantee.